An imposing and beautifully designed family house inside and out with generous south facing garden with studio / office. This original bay fronted Victorian terraced home has been substantially extended at ground, basement and loft levels to provide enviable space with good light and ceiling height. The house is arranged over four floors totalling approx. 2716 square feet, and has been well thought out and finished to an impeccable standard. It has generous formal and informal areas with modern open family kitchen opening onto the garden with central dining / entertaining space. 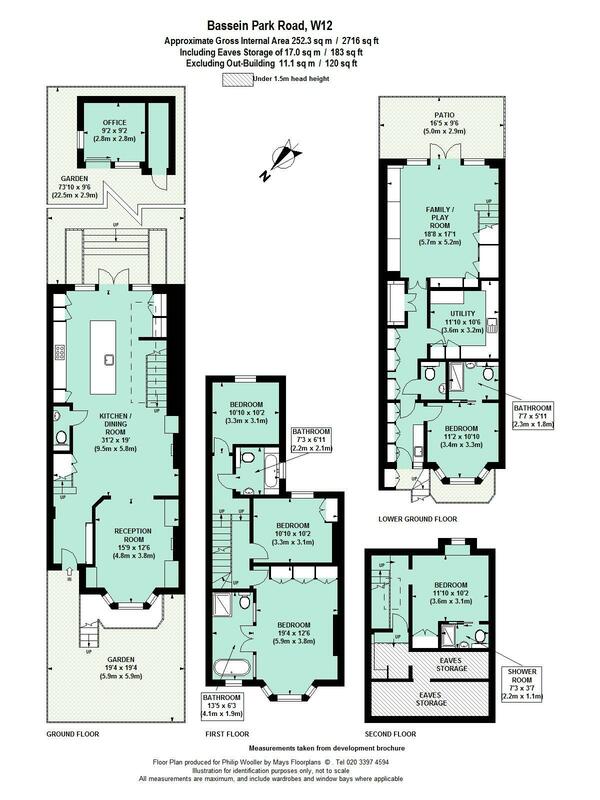 The versatile basement features family / media room, large utility and storage as well as a self contained annexe flat with full light wells and separate access from the front. The house is quietly situated towards the western end of Bassein Park Road near the junction with Rylett Crescent. Local shops on Askew Road and both Wendell and Ravenscourt Parks are within a short walk,as are numerous good schools and the shopping and transports hubs of Hammersmith and Westfield.